Pfalz Flugzeug‑Werke GmbH first got into the fighter business in 1915 with their Eindekker, which was based on the Morane‑Saulnier Parasol series, with the wing moved down to the upper fuselage, similar to the better‑known Fokker Eindekker. Heavier than the Fokker, the Pfalz Eindekker was not as good as its Fokker rival; the few that were produced equipped units of the Bavarian Flying Corps, Pfalz being a Bavarian company. Being "the best second choice" would be the role Pfalz fighters would play for the rest of the war. Following the success of the Albatros D.III series, Pfalz set out to design their own fighter. The resulting D.III was so similar in layout to the Albatros, even using the same method of constructing the refined and streamlined fuselage, that the airplane was frequently mistaken as an Albatros by Allied pilots once it reached the front. Like the Albatros fighters, the Pfalz was powered by the 160 h.p. Mercedes "straight six" inline engine, endowing it with a top speed of 103 m.p.h. and a service ceiling of 16,995 feet. Heavier than the Albatros, the Pfalz D.III was found to steadily lose height in a turning fight. The airplane was, however, more rugged than the Albatros series and though it was also a sesquiplane, it never suffered the structural failures of the Albatros D.V series. The German Air Service began equipping fighter units with the rugged and reliable Pfalz D.III in August 1917; again, the primary units to fly the airplane were the Jastas of the Bavarian Flying Corps. More directly comparable to the Albatros D.III, the airplane entered service at roughly the same time as the Albatros D.V and later D.Va. The D.III was well‑liked in service; one of its foremost exponents would be Rudolf Bertold, commander of Jasta 18, who liked the airplane for the fact that its throttle was on the control stick, much like a motorcycle. Bertold had been badly wounded and his left arm was nearly useless; with the throttle in this position he could fly the airplane much more easily than he could one with a traditional throttle placement on the left cockpit sidewall. The one problem of the D.III was that its twin Spandau machine guns were mounted inside the fuselage, which made it difficult to clear a jam in combat. The D.IIIa solved this problem by mounting the guns in the more traditional position atop the fuselage ahead of the cockpit. The later version also had a larger horizontal stabilizer. Together with the Albatros D.Va and the Fokker D.VII, the D.III and the improved D.IIIa, helped revive Germany's air superiority over the Allies. Compared to its contemporary rivals, the Pfalz D.III was not a great fighter, but it was very fast in a dive. It was frequently used to attack and destroy observation balloons with great success. More than 1,000 of these airplanes were produced and saw service between August 1917 and the summer of 1918, with some units flying them till the end of the war. The Pfalz D.III has been popular with World War I modelers ever since Aurora released their kit around 50 years ago, which was re-released in the 1990s by Glencoe. A much more accurate pair of kits representing the D.III and D.IIIa were released in the 1990s by Eduard. 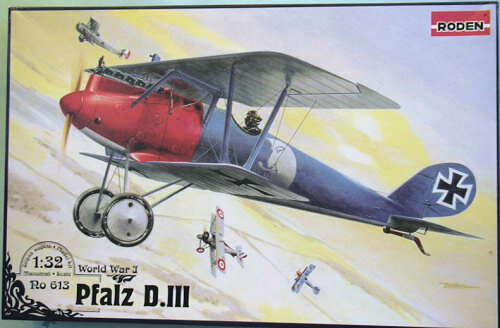 Toko released a D.III in 1/72 around the same time, and Roden has a Pfalz D.III in their line of 1/72 kits. This new kit by Roden is the first Pfalz D.III in 1/32, and it continues to prove my belief that 1/32 is the best scale for World War I models, since they are not overly large, but are large enough to have great detail and provide the basis for some really outstanding work by a serious modeler. The kit is in Roden’s now-standard light tan plastic, and provides wings with a very realistic fabric effect, a detailed Mercedes engine, and a nicely-done interior. I particularly like that the control surfaces are separated other than by the hinges, for a very realistic appearance. 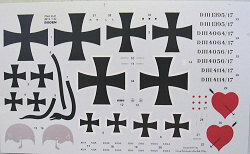 The decals provide markings for six well-known aircraft. While Roden’s decals in the past were not the best, the decals in their releases of the past few years have been excellent in my experience. There is one thing to take note of in the instructions that may not be correct. Roden would have the modeler do the entire interior in varnished wood. However, all the surviving Pfalz fighters from the First World War have interiors that were painted a light blueish-grey overall, cockpit and engine bay. While there are no surviving D.IIIs to look at, the fact that all the other types that did survive are painted this way makes it highly probable that the D.III was done that way too. While painting the interior in natural varnished wood would look nice, the fact it is likely much simpler may be a plus for the modeler who hasn’t done any WW1 models before and doubts their ability to paint a realistic-looking wooden interior. The Pfalz D.III was one of the best-looking German fighters of the First World War. This new kit does the airplane full justice and is as good in my opinion as Roden’s excellent Fokker Dr. I. 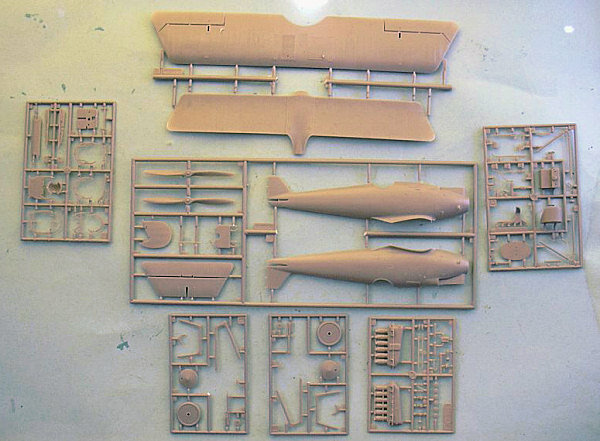 With its relatively simple design and rigging, this would be a good kit for a modeler who has yet to do a World War I airplane to get hold of and build, since it is simple enough and the result is bound to be a good-looking model. The simplicity of the production design of the kit is an additional plus for the modeler who is working on a “time budget” (as I am now) and wants to see something on the shelf completed during this lifetime.